Book #6 of the Sultana series. the last Sultan of Granada faces an uncertain future. Her husband’s realm endures terrible odds in battles against dangerous foes. The united Catholic monarchs Isabella of Castile and Ferdinand of Aragon gain ground steadily, encroaching upon Granada, while dynastic rivalries fracture the Moorish kingdom from within the palace. How can Moraima ensure the survival of her family, shattered by warfare and betrayal? Book #5 of the Sultana series. In fifteenth-century Moorish Spain, Aisha, the descendant of the Sultans of Granada endures a life imperiled by dynastic warfare, loss, and cruel fate. Enemies descend on the kingdom from all sides and threaten to tear it apart. To preserve a fragile peace, Aisha suffers a sham marriage to a cruel tyrant, forever divided from the love that once ruled her heart. Years later, when a trusted confidante becomes a powerful rival, Aisha must fight for the future of the next generation or witness the destruction of her family and the last vestiges of Moorish rule in Spain. Book #4 of the Sultana series. for the sake of peace leads to disaster in the medieval kingdom of Granada. The young queen Jazirah, caught up in a dynastic struggle between warring brothers, fights for her survival. Wed to a husband who looks at her with more suspicion than lust in his eyes, she must escape reminders of a brutal past in a quest to find forgiveness, hope, and love. Her husband Muhammad faces greater peril than union with a wife he cannot trust. Surrounded by enemies within his family who seek the throne and undermined by ministers who would alter the course of his country’s future, he intends to rule the land of his ancestors alone. How can he endure against his most bitter opponents, not least among them, the woman whom he has chosen for a bride? Book #3 of the Sultana series. man's heart and the future of his kingdom. Both women are captives sold into the harem of Sultan Yusuf I of Moorish Granada. A young girl with a hidden heritage, Esperanza Peralta, forges a new identity as Butayna and becomes the mother of Yusuf's firstborn son.The Jewess Miriam Alubel takes the name Maryam and also bears Yusuf's children, including two sons. The clash between former friends is inevitable, as each finds diverging paths in a dizzying rise to power beside their husband. Both remain aware of the struggle ahead, for only one heir may inherit Yusuf's throne and only one woman can claim the revered title, Mother of the Sultan. faces a bleak future, as a tyrant seizes control. Fatima, the daughter of a Sultan, and her devoted husband Faraj have enjoyed years of peace and prosperity. Now, a power-hungry madman claims the throne. He murders almost everyone Fatima holds dear. His reign fractures a weakened Sultanate, under siege from Christian kingdoms to the north and Moorish dynasties in the south. Fatima must preserve the legacy of her forefathers at all costs. She risks everything, even the love and trust of her husband. Amidst treachery and intrigue, she stands alone against her adversaries, determined to avenge terrible losses. Can she survive divided loyalties and shocking betrayals? In thirteenth-century Moorish Spain, the realm of Granada is in crisis. The union of Fatima, granddaughter of the Sultan of Granada, with the Sultan’s nephew Faraj has fractured the nation. A bitter civil war escalates and endangers both Fatima and Faraj’s lives. All her life, Fatima has sheltered in lavish palaces where danger has never intruded, until now. A precocious child and the unwitting pawn of her family, she learns how her marriage may determine her future and the fate of Granada. Her husband Faraj has his own qualms about their union. At a young age, he witnessed the deaths of his parents, and discovered how affluence and power gives little protection against indomitable enemies. Throughout the rugged frontiers of southern Spain, the burgeoning Christian kingdoms in the north and the desert states of North Africa, Fatima and Faraj survive ruthless murderers and intrigues. They unite against common enemies bent on destroying the last Moorish dynasty. Love united them. Destiny drove them apart. When Avicia, a Norman noblewoman, makes a careless but costly mistake with a prized falcon, the brutal punishment nearly claims her life. Her Saxon lover, Edric of Newington, witnesses her ordeal but cannot share her fate. Another destiny awaits him in England, and the prospect of a loveless marriage. Swept away in the arms of another, Avicia enters the treacherous court of Duke William of Normandy. Through the years, Edric and Avicia reunite in a timeless, forbidden love, but a bitter rivalry for the English throne divides them. In a world forever altered in the aftermath of Hastings, hope rises and the chance to love again. 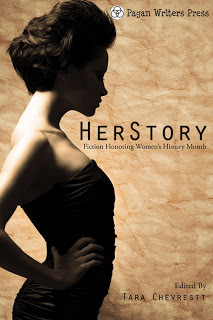 As part of HerStory, fiction honoring Women's History month. Gwenllian, a Welsh princess of Gwynedd and the wife of the dispossessed lord of Deheubarth faces the greatest trial she has ever known. Brutal English invaders have ravaged her beloved country and forced her into a meager existence, hidden in the forests of her husband’s homeland. While he seeks a strong alliance against the enemy, Gwenllian prepares herself and her children for the fight of their lives. Strength and honor alone will not help. Her family must unite for their survival.